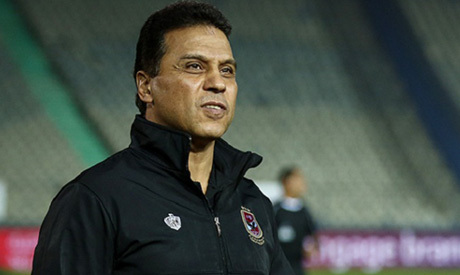 Ahly coach Hossam El-Badry has expressed satisfaction over Tuesday's comfortable 4-0 home win over Gabon's CF Mounana as the Reds kicked off their African Champions League campaign. "It is a very important victory; we avoided conceding goals," the 56-year-old tactician told the club's official website after their first leg in the round of 32. "The game is an important step towards the title." Upon battering Mounana, last season's runners-up Ahly have all but ruled out the possibility of an upset. El-Badry's men will face Mounana in Libreville on 17 March in the second leg. "I really wanted more goals," said football director Sayed Abdel-Hafiz. "But four goals are satisfying. We will play the upcoming game with the same determination to score more." "The technical staff have turned the game page already as we have domestic games we are focusing on," Abdel-Hafiz added. Ahly, who are meeting a tough ENPPI side on Sunday in the Egyptian Premier League, are on the verge of winning their third successive league title and their 40th overall as they lead the way with 72 points, 19 ahead of their closest chasers Ismaily.